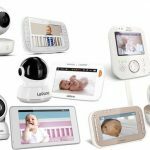 Having a new baby in the house can be quite an expensive affair. 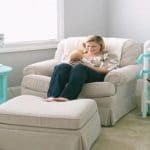 With all the new baby furniture to buy, as well as the expense of all the supplies, your budget does suffer a huge blow. Diapers are quite expensive, as are bottles, and cleaning supplies. Now these aren’t really replaceable. But some things are – and today we’ll be talking about saving some money and making your own homemade baby wipes! With a new baby, baby wipes are an absolute must. You need them when you are changing, after feeding your baby, or just to clean up at times. And wipes tend to be quite expensive. 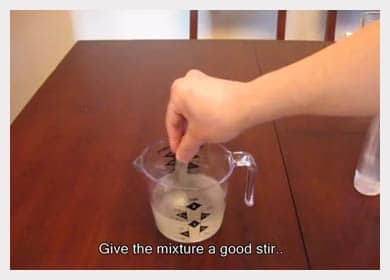 Instead, you can try this simple method to make some for a fraction of the cost. And this way, you can always have a batch ready and never run out of them! Now there are two ways to do this, and we’ll tell you about the easy one. 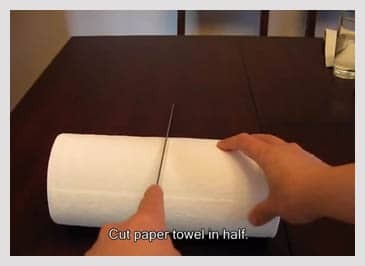 Take the bread knife and cut the paper towel roll in half. 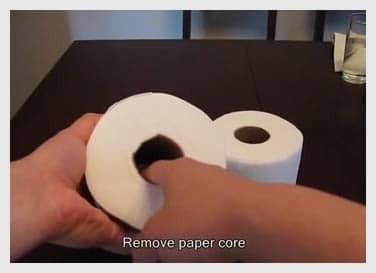 Now carefully take the core out from the center. 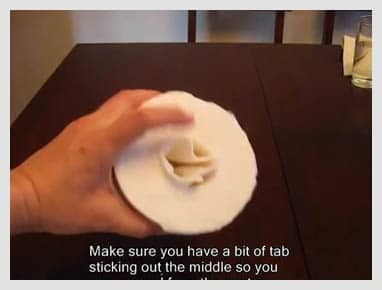 Pull out the end from the center to the top, to create a tab that you can use to pull out the wipes as needed. 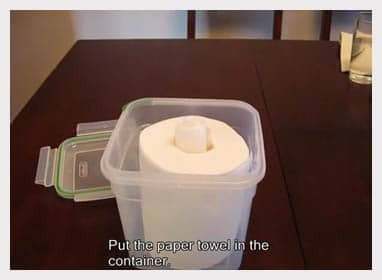 Now place the dry towel roll inside your container. 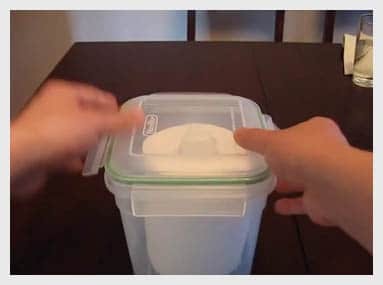 The roll should fit perfectly inside the container. If it doesn’t stop now and get another container that is big enough and then get on with the rest. 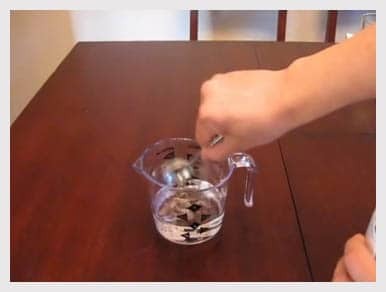 Take the cup of water and add to that a tablespoon of baby oil. 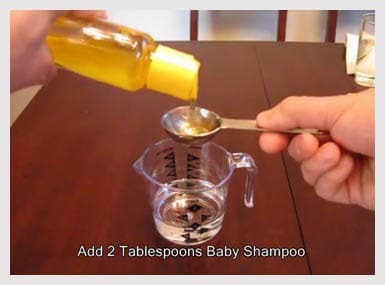 Next add in 2 tablespoon of the baby wash or shampoo. 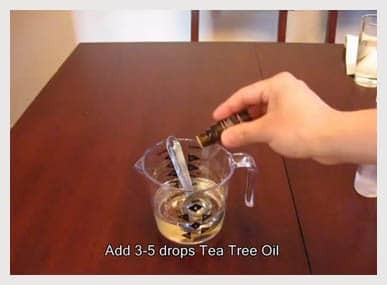 Next add to this 3-5 drops of the tea tree oil – this step is optional. 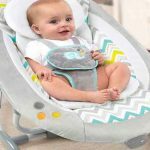 If your baby has sensitive skin and you want to avoid the smell, leave this out. Stir the mixture till everything is well mixed in. 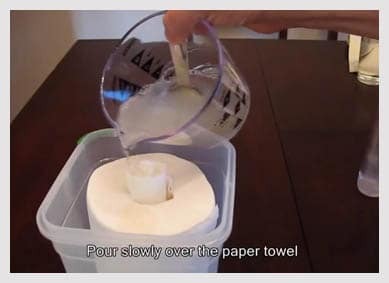 Pour this mixture slowly over the towel roll in the container. Your aim should be to soak the entire roll with this. Now leave it for a minute or so to soak in and then pull out from the center. And your baby wipe is ready to use! The good thing about these wipes is that they are not going to cause any allergies, since there are no harsh chemicals, fragrances or even alcohol – you know exactly what went in there! And these wipes are amazingly good – they deliver consistent results every time! 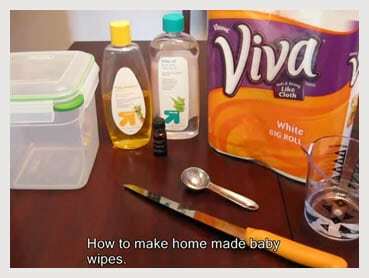 So go ahead and make these homemade baby wipes for your baby today!